So many people have been asking me lately how I have managed to grow my hair so quickly. And when I look at 'before' and 'after' photos, I can't actually believe how quickly it has grown. From the photos, some of you may not be thinking it has grown that much, even if the colour and style is completely different! (I really don't know what I was thinking ever being THAT blonde!) But honestly, in the first photo, my hair was literally less than half an inch short underneath at the back, my hair was extremely choppy and it's taken time just growing the layers and fringe out. My hair was shorter than my chin, and within 8 months of deciding I wanted long hair, it has gotten to this point, and in good condition too. So here is how I've done it! 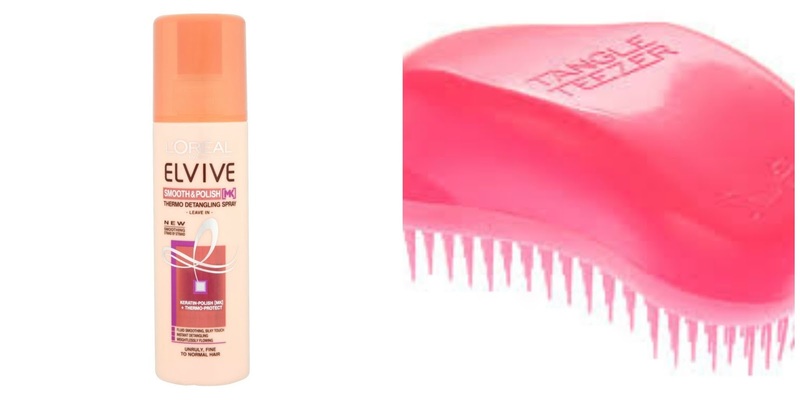 I'm not sure which of these factors are the biggest contributors to my hair growth, I think the combination of them all has worked absolute wonders! I am not a hairdresser or hair expert, but am merely going to talk about the things that have worked for me, and been recommended to me by my hair stylist. 1. Regular hair cuts: Some people think this is absurd to have your hair cut if you are trying to grow your hair. 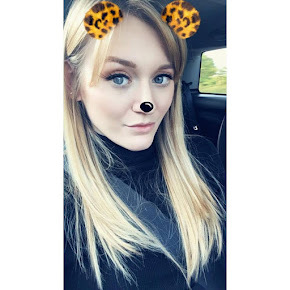 But if you don't have it cut regularly, your ends will just become even more dry, damaged and split, and then the hairdresser will have to cut inches off to return it to good condition - and then your hair will never grow! I have mine cut every 6-8 weeks, which is recommended by most hairdressers. My hairdresser takes off the tiniest amount from the ends, which she calls "dusting". It allows my hair to grow in really good condition and I never have to have masses cut off. 2. 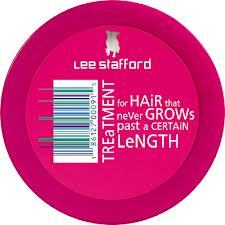 Lee Stafford Treatment for Hair That Never Grows Past a Certain Length: This is my favourite hair product of all time. It retails at £7.99 per tub in Boots and I absolutely love it. The packaging says to use between your usual shampoo and conditioner. You should get an egg-sized amount and rub in from roots to ends, and leave for 5 minutes. I like to really massage this into my scalp to moisturise it to encourage hair growth. The packet says to use on every wash until you notice results, then to use once a week after that. As I wash my hair every day, I use this every other day. It smells amazing and leaves my hair feeling so soft. Also, I have quite thick hair and I find it falls out quite a bit, but since using this mask I'm losing a lot less! Even if you don't buy this particular product, I would recommend using a moisturising hair mask once a week. 3. No heat: Heat is the worst thing if you are trying to grow your hair. 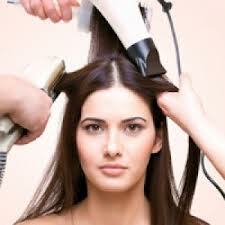 Heat is so damaging to your hair, and encourages split ends. It also tends to dry my scalp out. I used to straighten my hair every day when I had the really short bob in the first photo above, but as it got a bit longer and I could tie it up, I gave up straightening and any form of heat and just shoved it on top of my head. I never really blow dried my hair anyway because I'm super lazy, and with buns being quite 'in' at the moment, you can definitely get away with it. I noticed my hair really felt so much nicer when I gave up the heat, and because I still straighten my hair when I'm going anywhere nice, I notice my hair straightens so much better and looks so much shinier. I'm going to purchase a Tangle Teezer next time I go uptown, as they're even better - they don't snag or pull on your hair at all! 5. 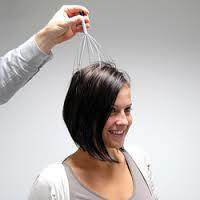 Head massage: I started using this to relieve stress, because whenever I get stressed tension builds in my back, neck and head. But then I read somewhere online that massaging the scalp also helps to stimulate hair growth. This cost me $2 in New York, and I know you can get them really cheap online if you look in the right places. I don't do this regularly, but it is SO relaxing and if it encourages hair growth as well, it is like killing two birds with one stone! 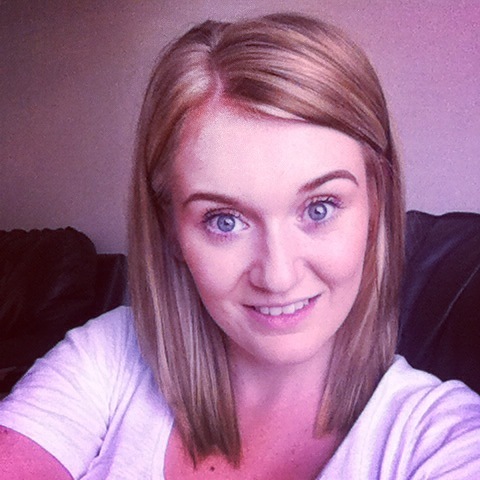 Do you have any top tips for encouraging hair growth that could help me? I've still got a long way to go until I get my hair to the length I want. I hope these techniques work as well for you as they have for me!